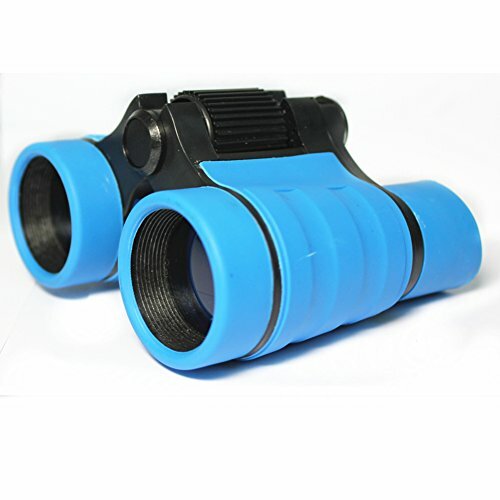 ☆ 100% BRAND NEW - VanFn toy binoculars, rubber 4x30mm adjustable mini lightweight binoculars for kids, excellent quality for the price, perfect for the children's toy or educational gifts. 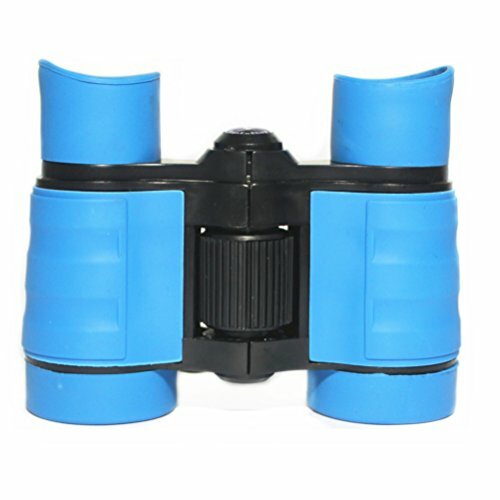 ☆ SAFETY - Binoculars are made of nontoxic natural rubber material, rubber surrounded eyepieces are included for eye protection so children don't hurt their eyes or face. 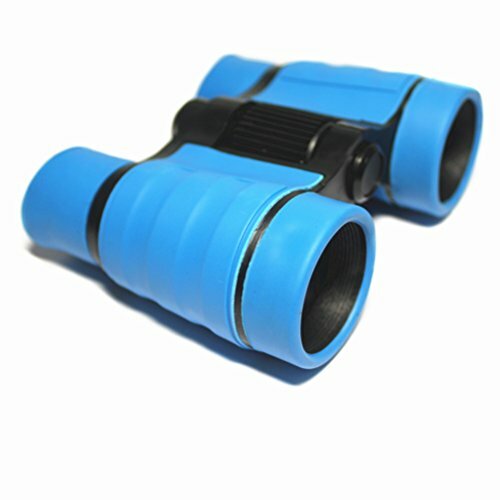 Optical coated 30mm class lenses design, adjustable focal length and width for different size faces. 0.23lb super light-weight. 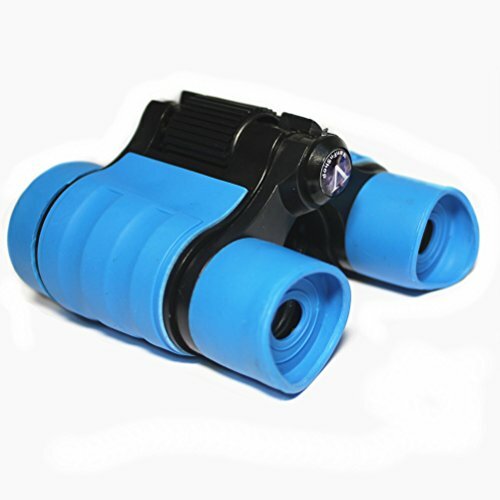 Please note: We designed 4x30mm low magnification only can see furthest 328-492 feet (under favorable weather conditions). 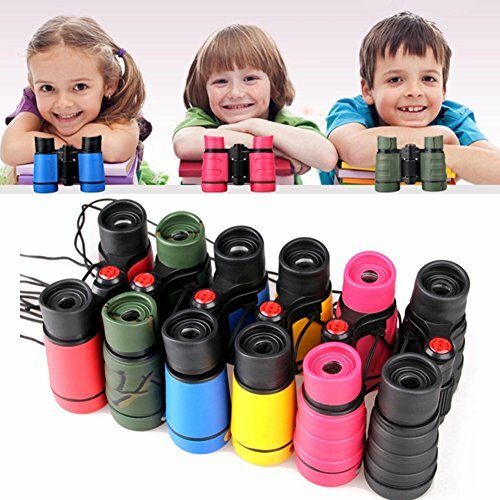 ☆ BEST EDUCATIONAL TOYS - Binoculars perfect for children’s education and great for nature watching, hobbies and sports. Designed for children to use easily. 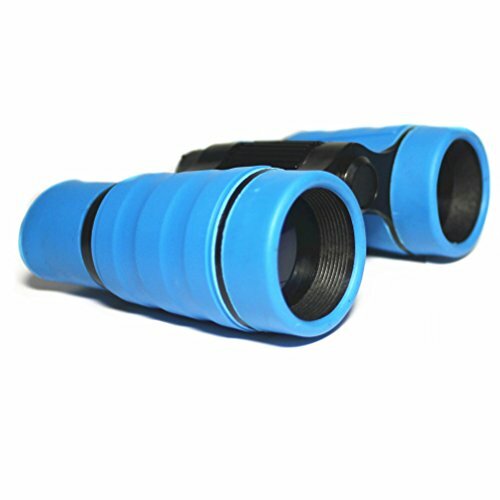 Binoculars can be folded to match eye to eye distance of child, the compact size is ideal for little hands and outdoor adventures! ☆ HIGH STANDARD - Products use high grade components. Have variety of bright colors to choose. Would make and excellent children gift (suitable for children aged 4 years and over). 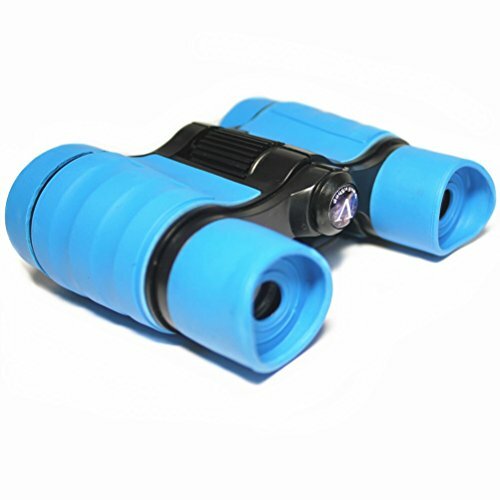 Our products include: 1x binocular, transport bag, neck strap, cleaning cloth and a little mysterious gift. ☆ VANFNSHOP 100% SATISFACTION GUARANTEED - Your satisfaction is our momentum. 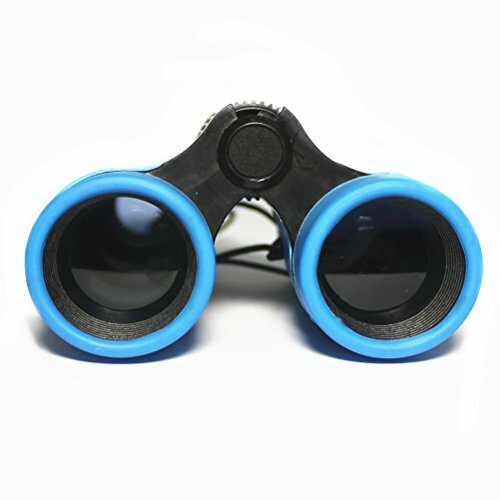 If you have any questions about the product you got, please feel free to contact us, we will try our best to solve the problem for you until you're satisfied. (Note: Product image 100% in-kind shooting, it is normal that the color cause a little different due to production batch or ambient light and different display resolutions).